See more Fleece Casual jackets. We check over 450 stores daily and we last saw this product for $90 at Backcountry. 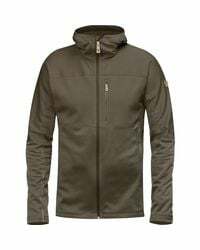 The Fjallraven Men's Abisko Trail Hooded Fleece Jacket pulls its weight year-round, thanks to a clever design that keeps it light, packable, and most importantly, warm. The chest, hood, and shoulders consist of a flat-knitted fleece with soft brushed lining that offers warmth where it's needed most. 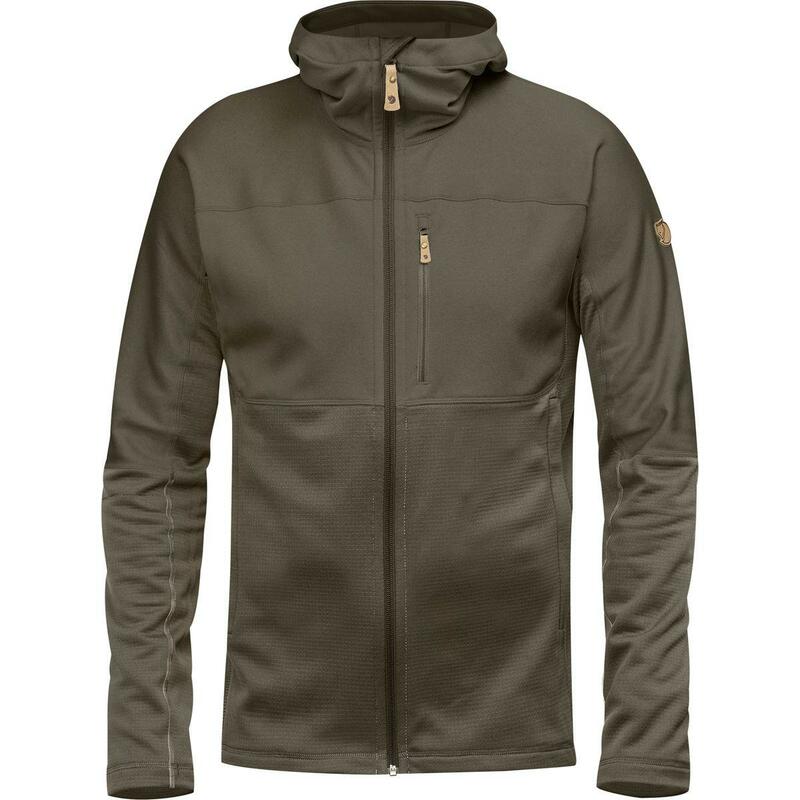 Meanwhile, grid-structured fleece at the torso, sides, and lower sleeves shaves weight and enhances compressibility for easier packing and superior ventilation. The result is a lightweight jacket you can wear on cool fall hikes and summer summit pushes, or a cozy mid-layer that can be worn under a shell in winter or stowed in your pack on any outdoor excursion, just in case. Polyester fleece with brushed lining at hood, shoulders, and chest. Grid-structured fleece at sides, torso, and lower sleeve. Regular fit. Zippered pockets. Partially-recycled materials. Material: 100% polyester. Fit: regular. Length: hip. Hood: yes. Pockets: 2 zippered hand, 1 zippered chest. Recommended Use: hiking & camping, casual. Manufacturer Warranty: 1 year.